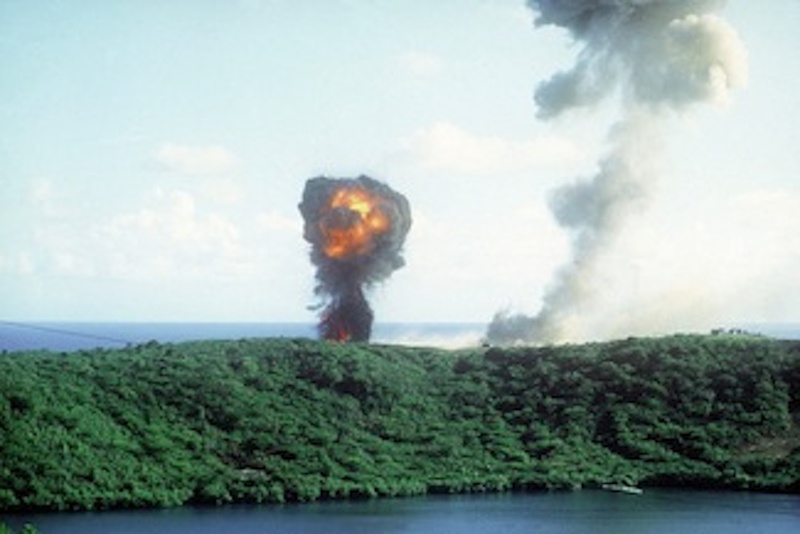 Please request permission before using any of the images below and please credit the photographer and granting agency in any use you make of them. 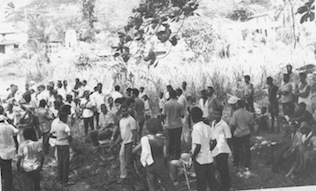 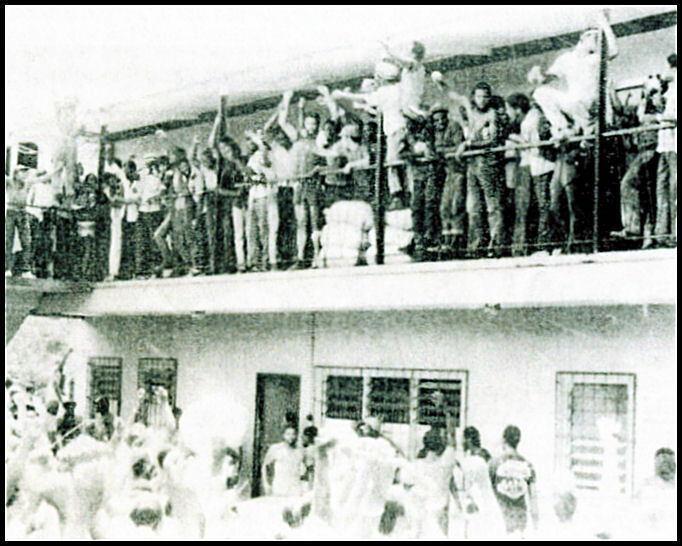 The People’s Trial of Lord Brownlow held under an almond tree at La Sagesse Estate in 1973 with Maurice Bishop representing the people. 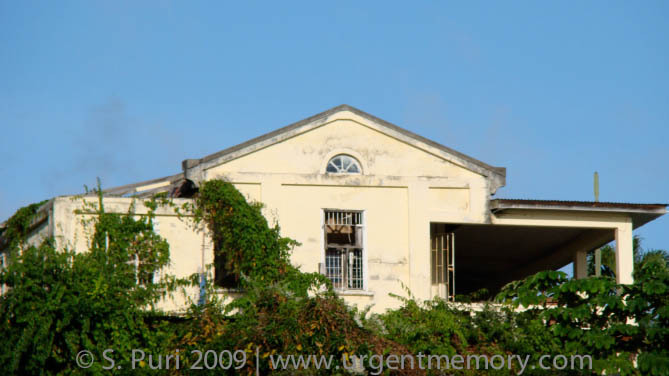 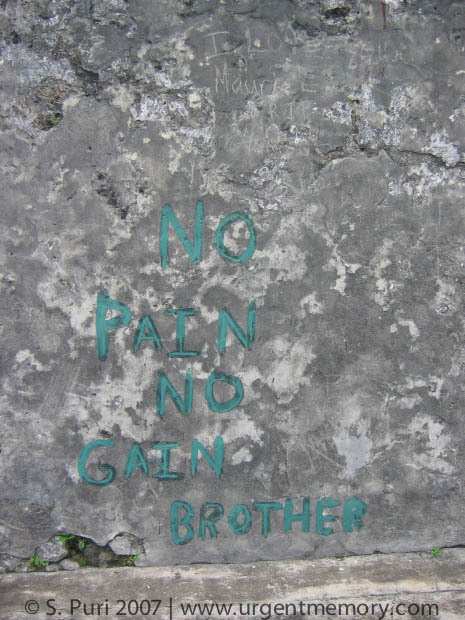 The trial and conviction of Lord Brownlow, the expatriate Englishman who had prohibited public access to the beach of La Sagesse estate, was a key moment in consolidating popular support for the New Jewel Movement. 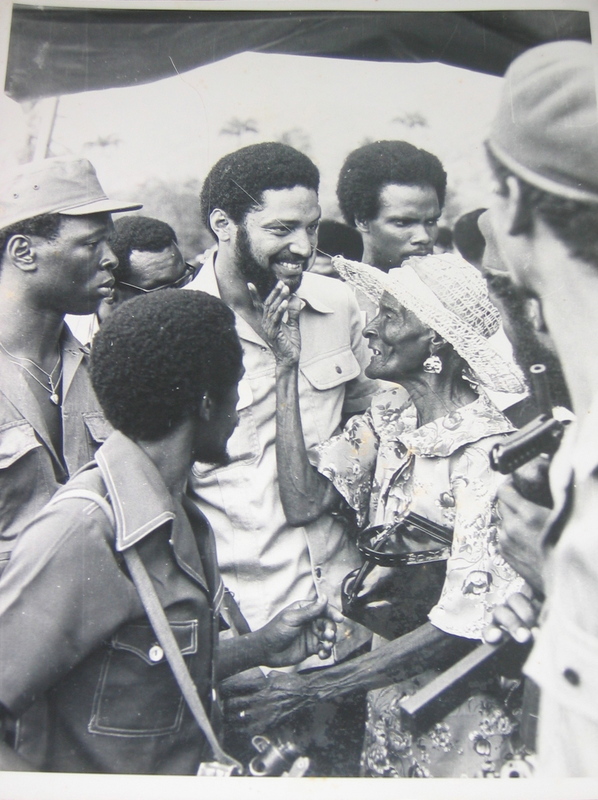 An elderly woman from Carriacou greets Maurice Bishop fondly. 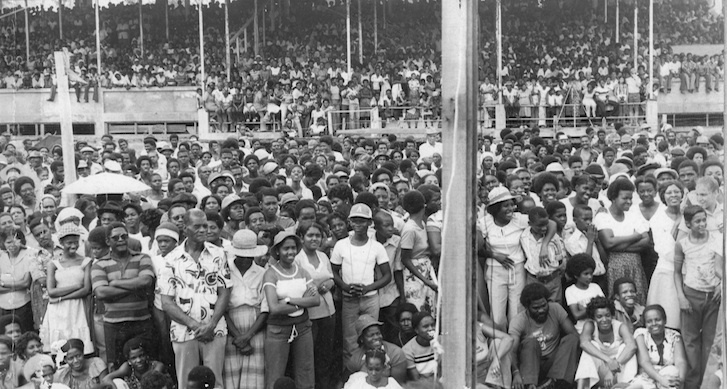 This photograph became an iconic expression of the affection that the people of Grenada felt for Maurice Bishop. 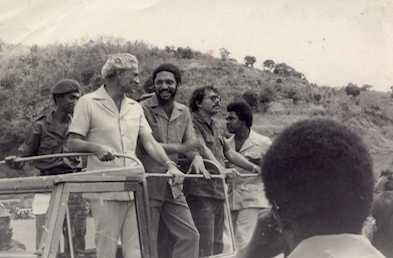 Michael Manley from Jamaica and Daniel Ortega from Nicaragua tour the island with Maurice Bishop. 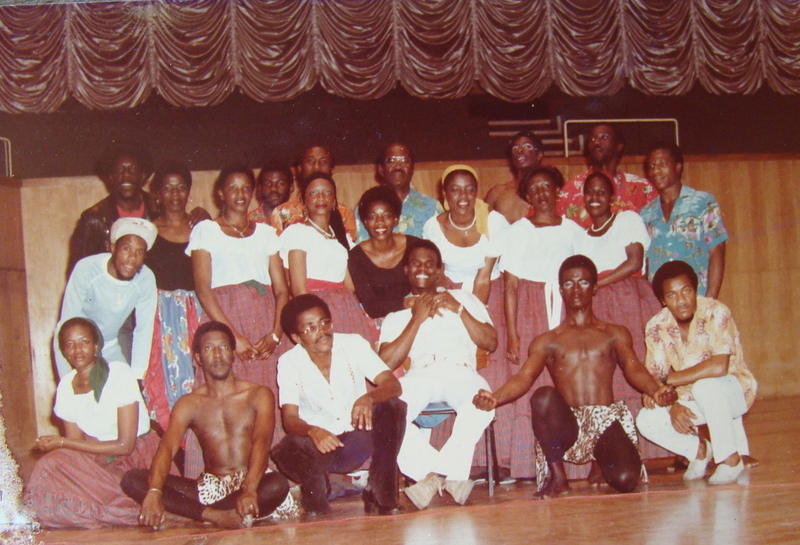 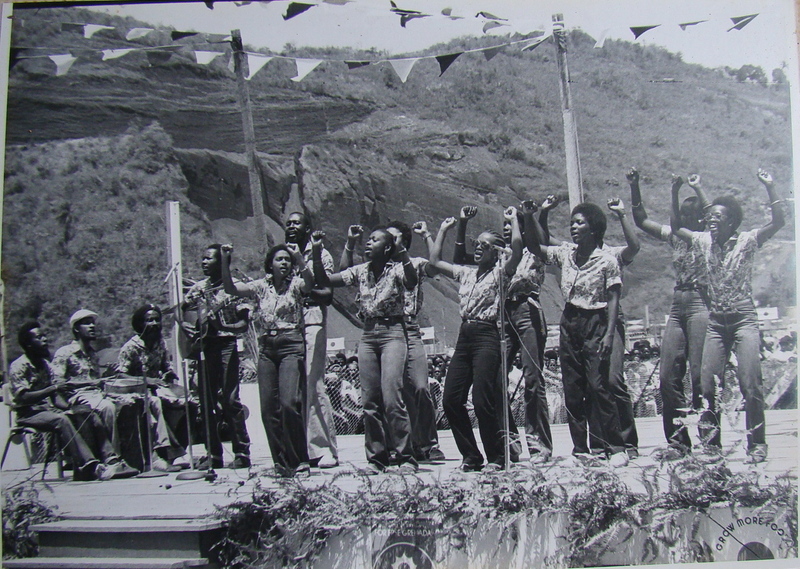 A youth group performs during the Revolution. 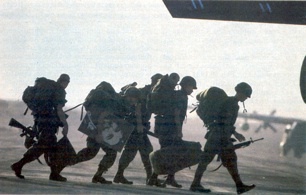 Packed! 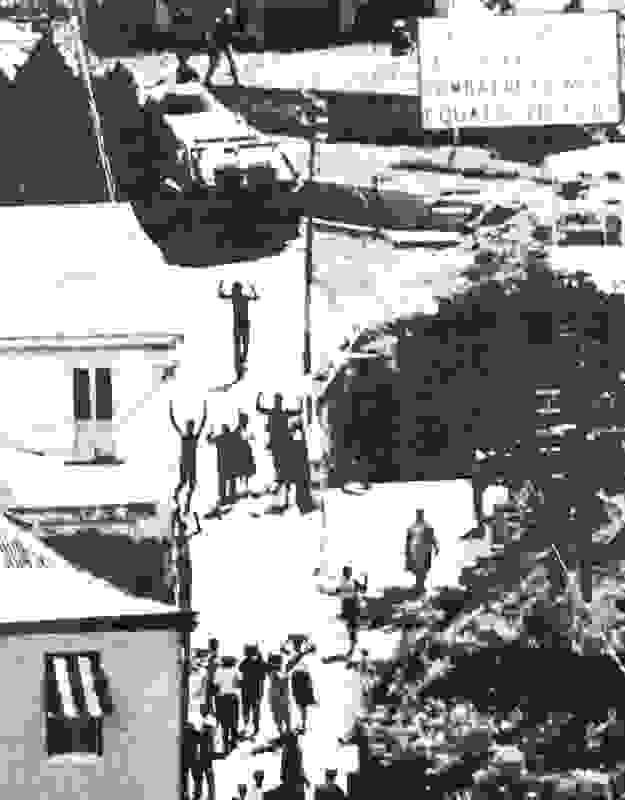 The people turn out en masse for a rally during the Revolution. 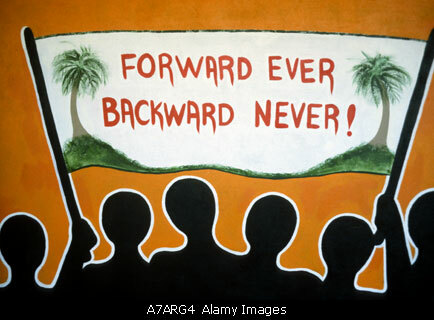 A mural with the Revolution’s slogan. 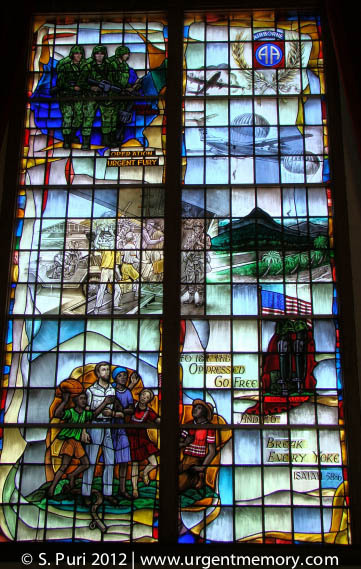 Stained glass window at US military base Fort Bragg, Home of the 82nd Airborne. 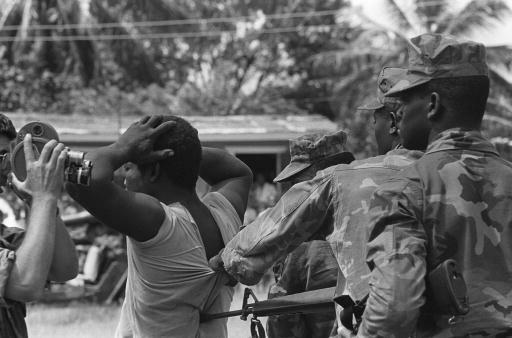 Wood Memorial Chapel at Fort Bragg features stained glass windows representing many US invasions. 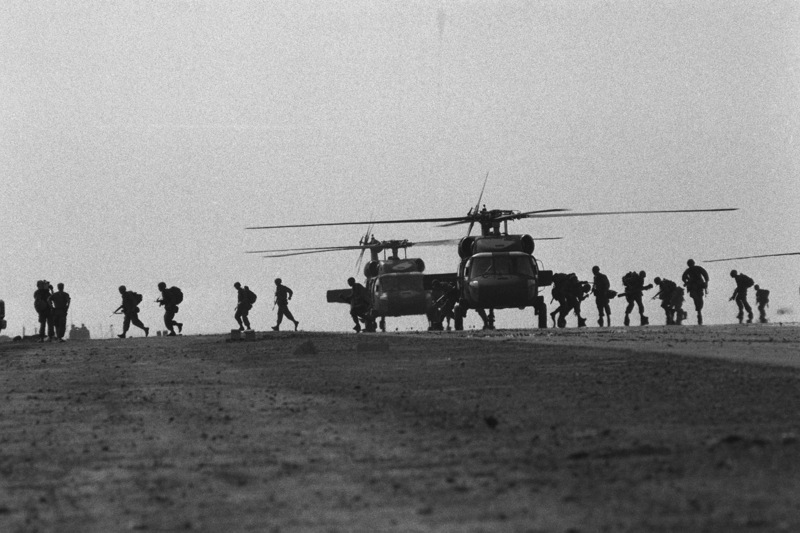 This one represents Operation Urgent Fury. 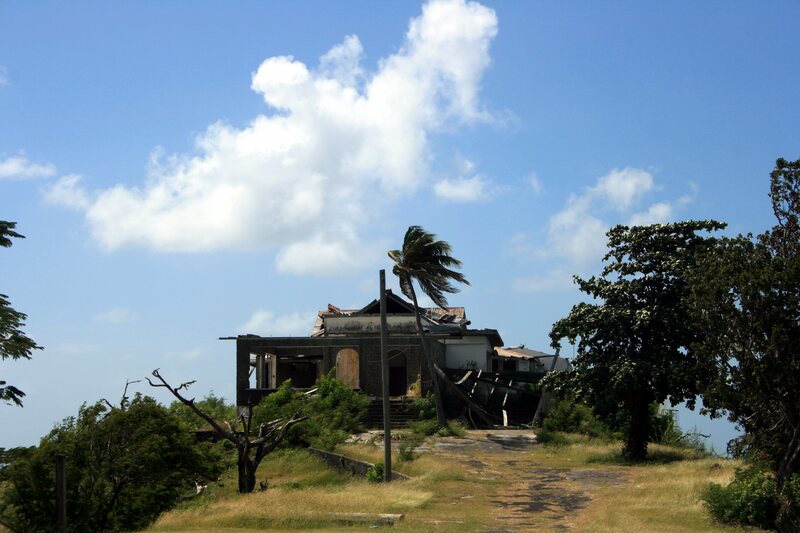 Near the airport, the ruins of “La Casona,” the residence in which some Cuban internationalist advisors would stay. 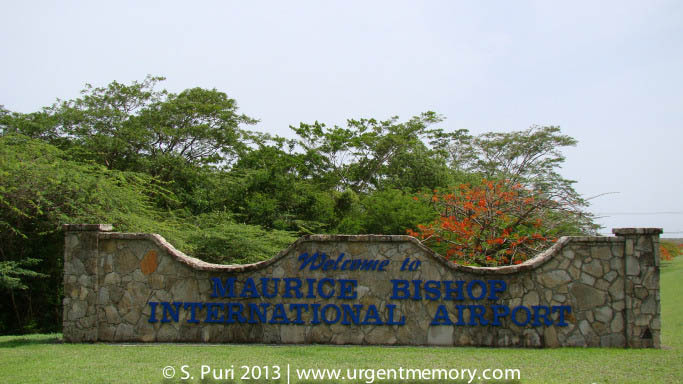 Entrance to the Maurice Bishop International Airport, so re-named on May 29, 2009 after many years of pressure. 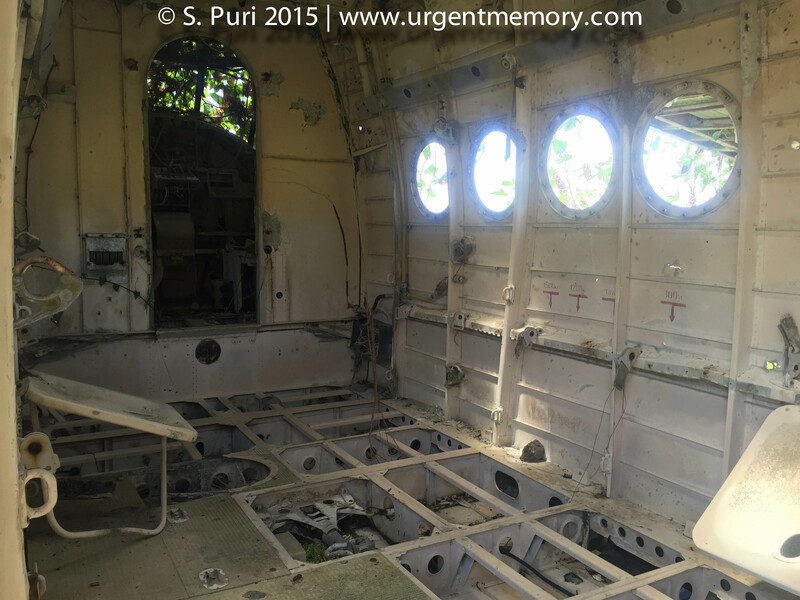 Below: the same plane decades later, in 2009 and 2015. 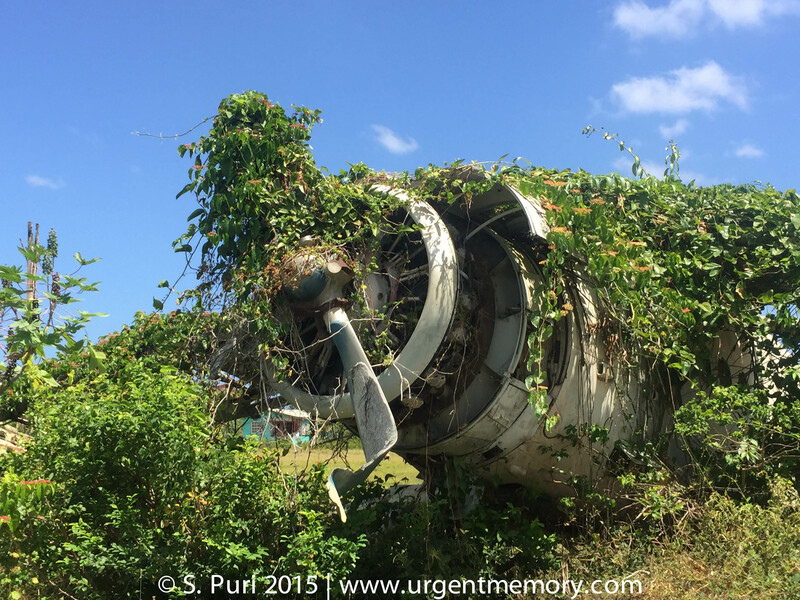 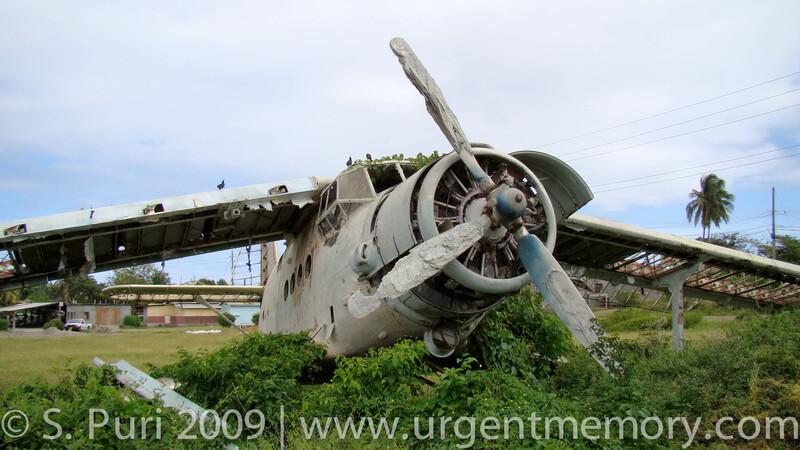 The photographs of airplanes appearing as banner images throughout this website are of the abandoned Cubana and Aeroflot planes on the old airfield at Pearls. 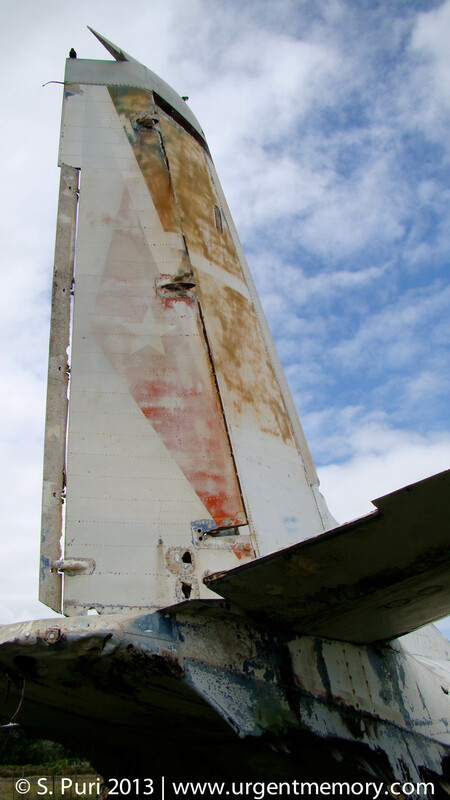 The planes have been there since the time of the Revolution. 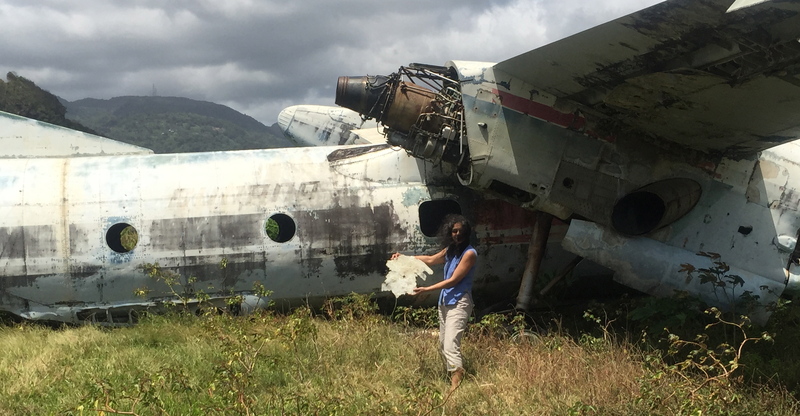 Seeing the abandoned planes, which embody the traces of a history that is present but largely ignored, inspired the approach the author took in the book. 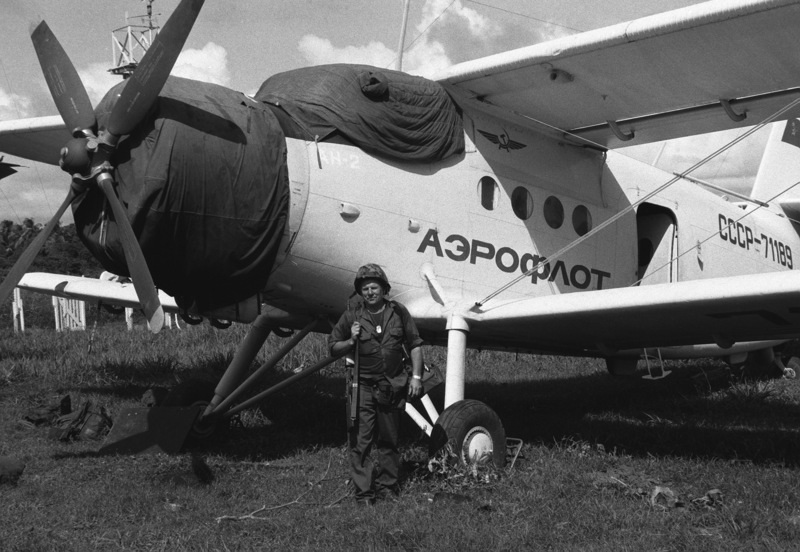 Most photographs of the plane were taken by the author over a period of several years.